No. The body needs 8 hours sleep. So training at 6 am is not good for your body, even if you are going to bed at 10 pm. We need to rest and the body needs sleep. If you are a personal trainer and you are training your client at 6 am then you not doing yourself or your client any good. As fitness trainers working with clients, we need to make sure that we are at peak fitness, which means that we need to be in bed by 10 pm and start work at 7:30 pm. Our clients need to see that we ‘walk our talk’ and that we are in the best possible shape so that they can see we live a life of love and health. If you are a late night person you need make sure you stay in bed for 8 hours and get up at, say, 10 am and see your first client at, say, 11 am. If you are good at your job the client will notice it. When you have time always rest or sleep as much as you can. Even 15 minutes during the day can help you to recharge your batteries, and do your body good. 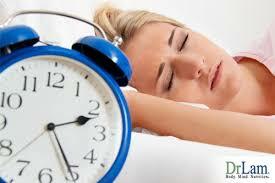 So I say to all personal trainers and their clients in London – get to bed on time and sleep 8 hours every night. Trainers – do not let your client tell you what to do. Let them know that you are the personal trainer and you know what is best for them. Training at 6 am is not good for you or your clients.